Meet Janet Walden! Janet Walden is the current Executive Director for Hall-Dawson CASA. She was born and raised in Ohio. She is married to John, and the couple has two daughters. We want to thank Janet for spending time with us recently and telling us more about her life and love of Hall County. Question: What inspired or led you to your current career? Q: What is something unique about Hall County? Q: What is something special about CASA that you really want people to know? A: “I’ve been in volunteer management for about eighteen years, and what I typically tell people about CASA is that there is nothing like a CASA volunteer. What we ask these volunteers to do is to step into the midst of a really chaotic time in a families life, probably their rock bottom, and walk with them to help them get where they need to be. It is a difficult task to ask somebody to do, and it’s a beautiful thing when it works. 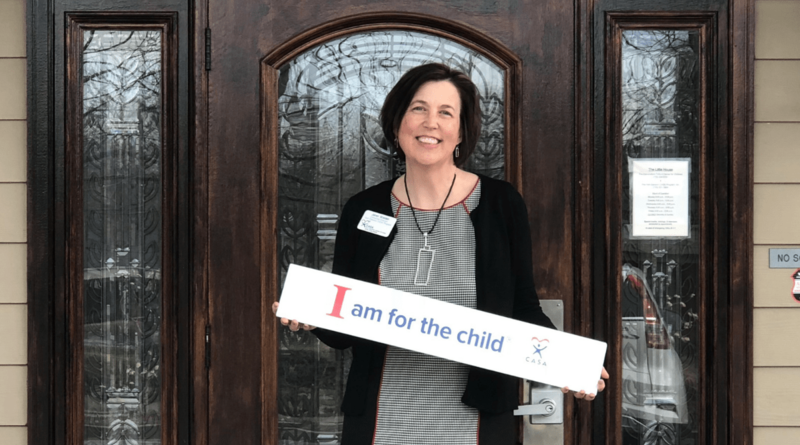 “I have an empty picture frame on my wall, and what I say CASA does, is it makes sure every child has their picture on somebody’s refrigerator. Every kid is one caring adult away from a success. That’s what we’re looking for. We need volunteers that are willing to step in a say that they can make a difference for a child, and let us help them in doing that. It’s important work. Q: If you could travel anywhere in the world right now, where would you go? And why? Q: What current local business represent Hall County to you? Q: Choosing anyone alive and non-relative: with whom would you love to have lunch with? Why? Where in Hall County would you take them? Q: What three bands would you like to see (dead or alive)? Q: What is something that most people don’t know about you?